Description: One of the most fragrant blends available with white tea. Floral sweet aromas of Chamomile and Rose fills the air along with the white tea needles which are blended to provide that perfect taste of sweetness and pleasurable experience. 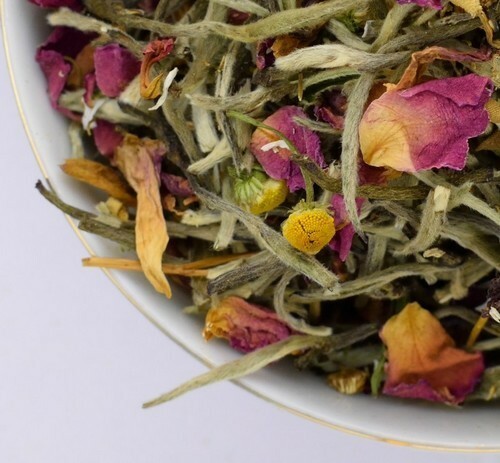 This is one of the unique and rare blends of Chamomile, rose with finest quality white teas in the form of silver needles which produces the right and polyphonic flavor profile due to the correct proportion of the intermingling of the flavors. The liquor is nice and has lots of aromatic flavors which is perfect to treat and pamper yourself. 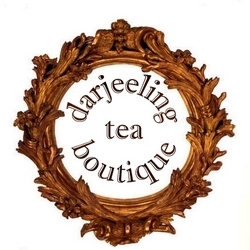 A must have tea for those who like to treat themselves to teas which a unique and one of a kind.